Dr. Louise Warwick-Booth is a sociologist with specific interests in health policy and social policy. She is located in the Centre for Health Promotion Research, which she has co-directed since 2013 alongside Dr. James Woodall. She joined the University in September 2005 and has taught on a wide range of modules, including sociology, health policy, research, community, and global policy and health care. She also manages a range of research projects and a team of six research staff. 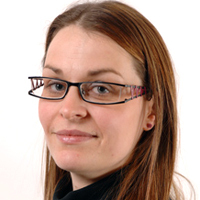 Her research projects are diverse and include a commissioned evaluation of the Way Forward Programme, a project to develop resilience in vulnerable young women with unmet need, the evaluation of a Department of Health Eatwell and Livewell Project to tackle malnutrition among the elderly, and the project management of the Sunderland Health Champion Programme.